We are in full blown Wedding Season here in South Florida and there are RSVPs coming back, invitations to send out and vendors to book! Brides are searching for the perfect veil, white dress, something old, new borrowed and blue… But where did all these traditions come from? What traditions used to be popular and what are the trends now? Here are a few traditions that are still being used today. The white dress has become synonymous with weddings. However, white wasn’t always the go-to color for brides. This tradition was started by the Japanese a long time ago, but only became popular once Queen Victoria wore a white dress in 1840. The white dress is supposed to symbolize virginity and purity, a trait that was believed to be of the utmost importance for any bride. If a woman wasn’t “pure”, she was considered unfit to marry. Nowadays, women are seen as so much more than their “innocence” or ability to bear children but hey, its tradition! If you think something else will speak out to you more, here are some alternatives: wear a dress that expresses your style and who you are. It doesn’t even have to be white. In fact, the Chinese wear red to bring joy and luck so pick something that expresses your style! The best man, these days, is the groom’s closest guy friend, who will be there to support him through the stressful, and happy, time of planning a wedding and being married. However, traditionally, the best man wasn’t chosen out of his closeness to the groom, he was chosen for his strength. Instead of being there to support his friend, his job was to make sure the bride didn’t run away; basically to lend his hand in kidnapping when it was still considered “okay”. Fortunately for all us women, the best man has definitely taken on a whole new meaning. It is an honorable tradition to include your closest friends as part of your wedding party; it feels as if they are part of your new journey together as newlyweds. 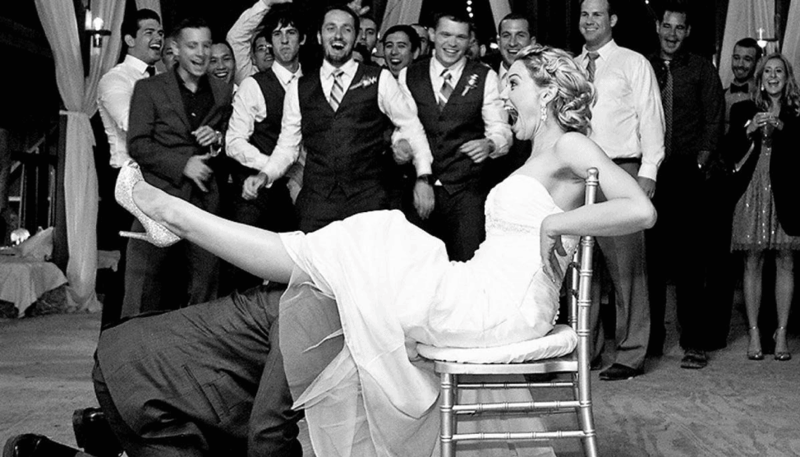 A new trend is the groom can inviting a female to be a grooms-woman or the bride inviting a male to be a brides-man. Dowries have been a historical tradition in weddings almost everywhere around the world. A dowry is when the bride’s father pays the groom’s family for letting her marry into their line. This could be money, animals, a staple of the bride’s family business, anything considered to be worthy. A modern day dowry is the bride’s parents paying for the whole wedding and the Groom’s family taking care of the rehearsal dinner. In the end though whoever is putting up the financial part of the wedding, bride’s side, groom’s side, a little bit of both, it’s important to think about easing the tension between families when it comes to finances.Dowries have been a historical tradition in weddings almost everywhere around the world. A dowry is when the bride’s father pays the groom’s family for letting her marry into their line. This could be money, animals, a staple of the bride’s family business, anything considered to be worthy. The veil, while being beautiful and a symbol of starting a new life once lifted, is another tradition. The bride’s father or groom will be the ones to lift the blush veil once she walks down the aisle. It started off as symbolizing either the father’s permission or the groom’s right to consummate the marriage. A veil is symbolic in many ways and gives an aesthetic elegance to the bride’s ensemble. If you want to wear a veil, by all means fulfill your hearts content! It can be small, just covering the eyes, mid-back, floor length or even five feet long requiring the two flower girls to hold it — you’re the bride, so it’s your call! Even though the history behind most of the wedding traditions still in effect today are a little silly, any bride can have the day she’s dreamed of including an aspects of tradition or not that you choose. So personalize away!